Former Ukrainian Prime Minister Yulia Tymoshenko was famous for her braided hairstyle when she first took to the world stage. It was an old folk style which symbolised the patriotic spirit of the Orange revolution in 2004. But now it's all changed. 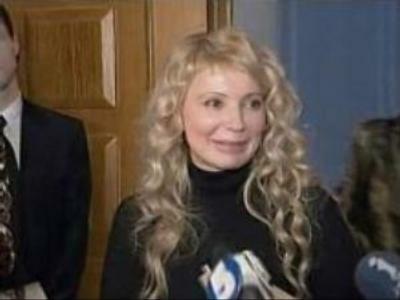 Tymoshenko has swapped her braids for a new long flowing locks for 2007. The cynical may say it's an attempt to present a softer image to the world but the traditionalists are mourning the loss of a fearsome style that embodied the lady of the Orange revolution. “Her previous style was that of a serious lady with serious ideas, the ”Iron lady Yu“. Perhaps she got tired of that style, and perhaps in addition to changing her appearance, she also wants to change her political ideas and adopt new political tactics,” Irina Chaikovska, a hair stylist said. Out on the streets of Kiev, the top of her head is making the headlines in the Ukranian daily newspapers. “It's not linked to anything at all. Women simply like to change their hairstyle sometimes. It has no bad meaning at all. I intend to do this more often so you will not be so shocked,” explains Yulia Tymoshenko. So it seems the new hairstyle could be hair today, gone tomorrow.